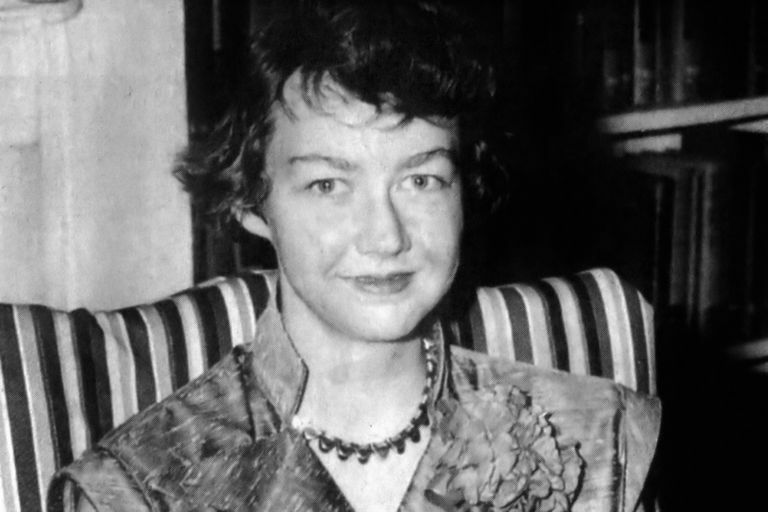 Flannery O'Connor's "A Good Man Is Hard to Find" is surely one of the funniest stories anyone has ever written about the murder of innocent people. Maybe that's not saying much, except that it is also, without a doubt, one of the funniest stories anyone has ever written about anything. "In my own experience, everything funny I have written is more terrible than it is funny, or only funny because it is terrible, or only terrible because it is funny." The stark contrast between the humor and the violence seems to accentuate both. What Makes the Story Funny? Humor is, of course, subjective, but we find the grandmother's self-righteousness, nostalgia, and attempts at manipulation hilarious. O'Connor's ability to switch seamlessly from a neutral perspective to the grandmother's point of view lends even greater comedy to the scene. For instance, the narration remains absolutely deadpan as we learn that the grandmother secretly brings the cat because she is "afraid he might brush against one of the gas burners and accidentally asphyxiate himself." The narrator passes no judgment on the grandmother's preposterous concern but rather lets it speak for itself. Similarly, when O'Connor writes that the grandmother "pointed out interesting details of the scenery," we know that everyone else in the car probably doesn't find them interesting at all and wishes she'd be quiet. And when Bailey refuses to dance with his mother to the jukebox, O'Connor writes that Bailey "didn't have a naturally sunny disposition like she [the grandmother] did and trips made him nervous." The clichéd, self-flattering phrasing of "naturally sunny disposition" tips readers off that this is the grandmother's opinion, not the narrator's. Readers can see that it's not road trips that make Bailey tense: it's his mother. But the grandmother does have redeeming qualities. For instance, she's the only adult who takes the time to play with the children. And the children aren't exactly angels, which also helps balance out some of the grandmother's negative qualities. The grandson rudely suggests that if the grandmother doesn't want to go to Florida, she should just stay home. Then the granddaughter adds, "She wouldn't stay at home for a million bucks […] Afraid she'd miss something. She has to go everywhere we go." These children are so awful, they're funny. To understand the union of violence and humor in "A Good Man Is Hard to Find," it's helpful to remember that O'Connor was a devout Catholic. In Mystery and Manners, O'Connor writes that "my subject in fiction is the action of grace in territory largely held by the devil." This is true for all her stories, all the time. In the case of "A Good Man Is Hard to Find," the devil is not the Misfit, but rather whatever has led the grandmother to define "goodness" as wearing the right clothes and behaving like a lady. The grace in the story is the realization that leads her to reach out toward the Misfit and call him "one of my own children." Ordinarily, I'm not so quick to allow authors to have the last word on interpreting their work, so if you favor a different explanation, be my guest. But O'Connor has written so extensively -- and pointedly --about her religious motivations that it's hard to dismiss her observations. "Either one is serious about salvation or one is not. And it is well to realize that the maximum amount of seriousness admits the maximum amount of comedy. Only if we are secure in our beliefs can we see the comical side of the universe." Interestingly, because O'Connor's humor is so engaging, it allows her stories to pull in readers who might not want to read a story about the possibility of divine grace, or who might not recognize this theme in her stories at all. I think the humor initially helps distance readers from the characters; we're laughing so hard at them that we're deep into the story before we start to recognize ourselves in their behavior. By the time we are hit with "the maximum amount of seriousness" as Bailey and John Wesley are led into the woods, it's too late to turn back. You'll notice that I haven't used the words "comic relief" here, even though that might be the role of humor in many other literary works. But everything I've ever read about O'Connor suggests that she wasn't particularly concerned about providing relief for her readers -- and in fact, she aimed for just the opposite.